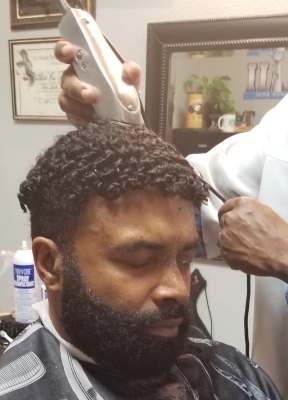 SMOOTH CUTS by RAY J for your barber needs. 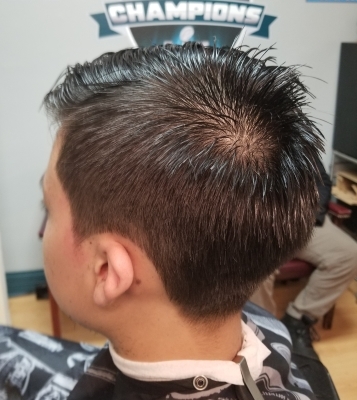 Custom Men hair unit services here! 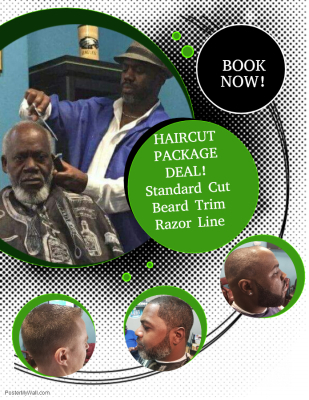 Book your appointment for a fresh smooth haircut with RAY J. 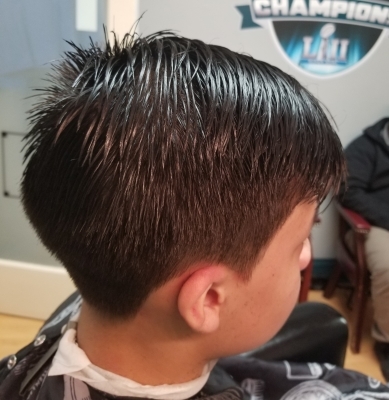 With over 20 years servicing clients, He stands amongst the Best in the business of barbering. 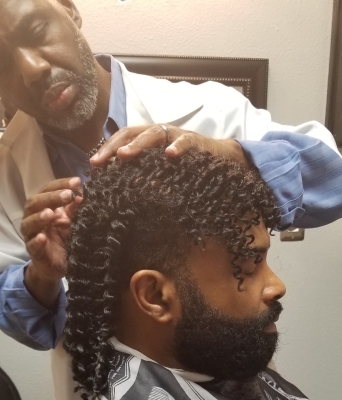 Yes, Book my appointment RAY J! Enjoy a comfortable upscale atmosphere in a private suite setting. 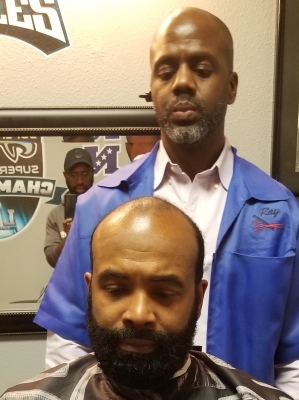 Get the Haircut Package Deal which includes a haircut and the beard trimmed with a fresh razor linning on your front edge line and top of beard. Book online now! Hey Ray J! fix me please!.......I got you bro! 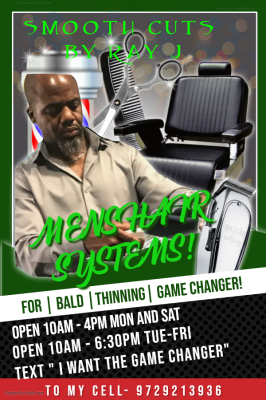 HAIR REPLACEMENT SYSTEMS CLICK NOW! 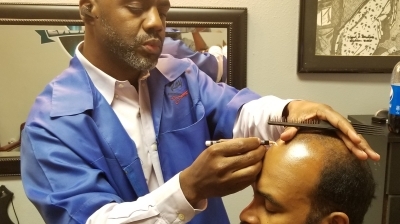 Hair replacement units or hair systems, referred to as cranial prosthesis are a nonsurgical procedure to help men who've lost their hair — be it through just balding or thinning, alopecia or cancer treatments — "regain" hair. 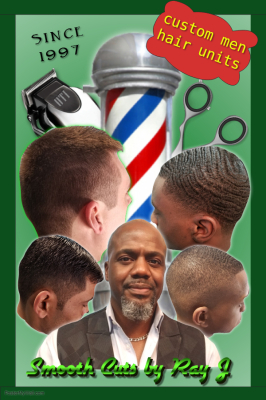 Men hair systems are designed for most hair types including Caucasian, Latino and African-merican/black, and have been growing in popularity over the past two to five years. In most cases, the hair units are 100 percent human hair, although some are blends with synthetic hair. 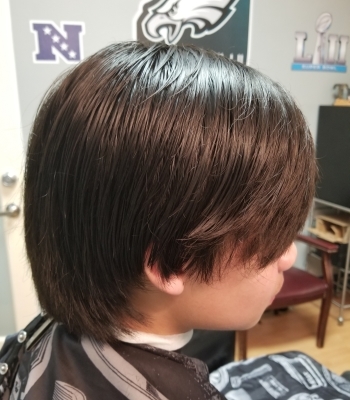 Don't think of it as fake hair, think alternative hair. It's not a miracle, it's science!